With kharif marketing season for 2012-13 commencing from October last week, the State Government on Wednesday asked the civil supplies officers (CSOs) to ensure that the paddy procurement is done as per the action plan. Inaugurating the two-day conference of the CSOs here, Minister of State for Civil Supplies and Consumer Welfare Pratap Keshari Deb said instruction had been issued to the primary agriculture cooperative societies (PACS) to prepare an action plan for paddy procurement. Each of the PACSs will have a procurement committee comprising revenue inspector, village agricultural worker (VAW), gram panchayat executive officer and three farmer representatives. Apart from assisting in the preparation of the action plan, the committee will monitor procurement of paddy, payment of minimum support price to the farmers and supply of paddy to the enlisted millers, the Minister said. The area of jurisdiction of each PACS will be decided for paddy procurement and the societies will be connected online for better monitoring by the Government. The Government plans to provide training to members of the PACS on procurement methodology, selection of fair average quality of paddy and proper storage of paddy. 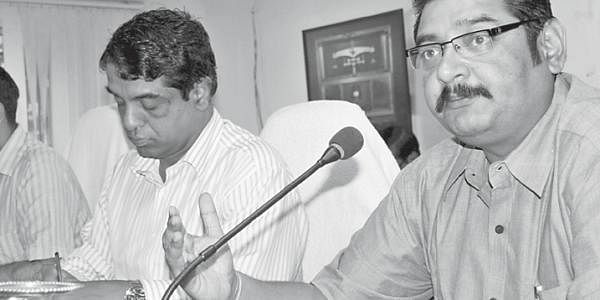 The meeting decided that the rice millers who have failed to supply the custom-milled rice of 2011-12 kharif marketing season to the Government will be debarred from participating in paddy procurement in the current season. The meeting also discussed the timely lifting and supply of levy sugar and supply of ` 2-a-kg rice to the poor leftout families. Department Secretary MS Padhi and Odisha State Civil Supplies Corporation Chairman SK Vashishth were present.